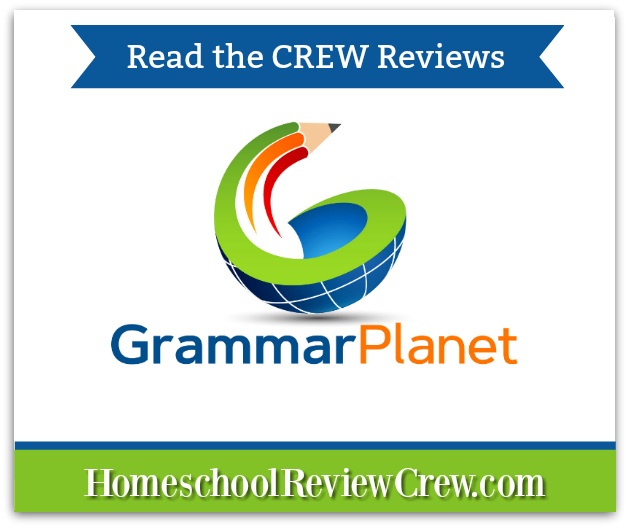 We’ve recently had the opportunity to review the online learning program, GrammarPlanet. This language arts program is the product of the partnership of Erin Karl (her mother developed the Analytical Grammar program and Erin followed in her footsteps and became a teacher) and Jerry Bailey (he’s the technology guy and an expert in his field as well). Each lesson begins with a video that (to start with) I have to admit I only half listened to as I was reading the printout that accompanied it. It didn’t take me long though to realize I wanted to listen to Erin’s explanation of grammar rules both for my benefit as well as for helping me explain this to EJ. She has an excellent way of speaking to the children so they understand what she is explaining and if there was a time when EJ needed a little help from me, I was able to continue in the same vein as she did and not cause confusion. This program is very well organized and laid out step by step so whether your child is following along themselves or you are using it in a more teacher-led fashion, it’s very hard to lose track of where you are as long as you follow the process at the bottom of every set of notes (a step is added with each unit). After reading the notes and watching the video, (there are questions inside the videos to help ensure kids are understanding what they are listening to before continuing on) your child will go on to answer practice questions. They will receive fewer practice questions if they are clearly understanding the material and a few more if they are stumbling on their answers a bit (I like this feature since extra practice can be very helpful). If your child seems to be struggling too much with the practice questions in a unit, they will receive a message that their progress has been locked and asking them to have their teacher unlock it and help them figure out where they need to do some extra work. You will also receive a message on your teacher dashboard plus an email to notify you that your child might need some extra help in this particular unit. You may have noticed that some of our screenshots have ads and some do not. This is because there is a free option of GrammarPlanet that is supported by ads but they will soon be launching a paid version (at a very affordable price) that will give you one parent/teacher and one student profile ad-free (otherwise there is no difference and the ads are non-offensive but I know myself it is much nicer to not have to worry about ads popping up). I have to share with you one of the lessons I particularly liked in the program. Beginning in Unit 6, Erin teaches the process of diagramming sentences. This isn’t something I have found in other grammar/language arts programs and I think it will really be beneficial to EJ as he moves forward into more difficult areas of grammar. 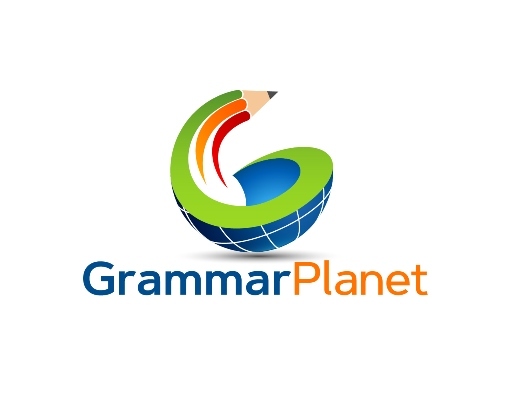 I have to say that GrammarPlanet is one of the best grammar programs I have come across. Well laid out and organized it is easy to understand for both student and teacher. Now I must also say that while it is easy to understand the steps, the program has been challenging for an 11-year-old with ADHD and dyslexia but we are seeing results (EJ has been quizzing his papa about articles and adjectives) and adapting the suggested pace to suit our particular needs. The program is designed for ages 10 and up so I would expect children on the lower end of the age range will perhaps work through it a little slower than the three lessons a week that are suggested. We set out time spaces, move onto another subject and then pick up exactly where we left off in our next session (the program remembers where EJ was, even partway through a set of practice questions). I always appreciate a program that is easy for me to modify while still taking advantage of all the instruction it has to offer. GrammarPlanet gets a big thumbs up from our family and I encourage you to give it a try for yours.